USA Softball to field team in men’s fast pitch tournament in Valley Center, Calif.
Valley Center, CA - - USA Softball to field team in men’s fast pitch tournament in Valley Center, Calif.
Valley Center, Calif. — The USA Softball Men’s National Team (MNT) program continues development efforts as athletes will represent the Red, White and Blue on the USA Softball Men’s Fast Pitch Futures Team roster at the 2019 USA Softball Men’s Major/Open Fastpitch Invitational tournament in Valley Center, Calif. 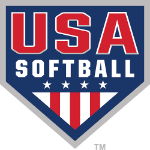 Sanctioned by USA Softball of Northern California, more than half of the 14 athletes selected to the team have previous experience with USA Softball on either the MNT, Junior Men’s National Team (JMNT), have participated at a JMNT Exposure Camp, the USA Softball Men’s Major Fast Pitch National Championship or the USA Softball Men’s Fast Pitch National Invitational Tournament (NIT). The Futures Team will open the tournament today with an 11 a.m. PT contest against Cali Redz followed by a 1 p.m. PT game against Wagon Burners. A 5 p.m. PT matchup against Budmen Fastpitch closes out pool play for the Futures. Sunday’s schedule will be determined by seeding following today’s results. Athletes selected to the Amigo’s tournament roster include Ryan Barnes, Jenner Christiansen, Matt Christiansen, Tyler Dudley, Dalton Gray, Jon Gwizdala, Brad Kilpatrick, Chayton Lloyd, Nick Mullins, Chris Norris, Jason Obregon Jr., Jason Obregon Sr., Ethan Rodriguez and Mingo Varela. Christiansen, Dudley, Gwizdala and Mullins most recently were named to the 2019 MNT roster while Gray, Lloyd, Obregon Jr. and Rodriguez competed on the 2018 JMNT roster that competed at the World Baseball Softball Confederation (WBSC) Junior Men’s World Championship. Norris and Barnes are also alumni of the JMNT program, having played on the 2008 and 2014 rosters, respectively. Bob Piddock will lead the USA Softball Men’s Fast Pitch Futures Team at this tournament, with Bill Kunkel serving as the assistant coach.